In the Setmore web app, the Custom Time Slot setting lets you configure how long or short time slots should appear on your admin calendar. 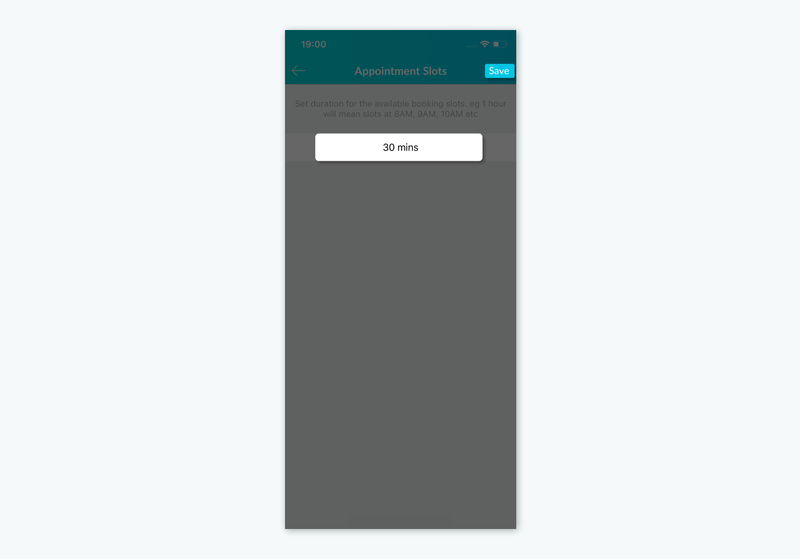 When using the Setmore mobile app, the Appointment Slot Size setting can be used to determine the same thing. Note: The Appointment Slot Size and the Custom Time Slot settings are device-level configurations. 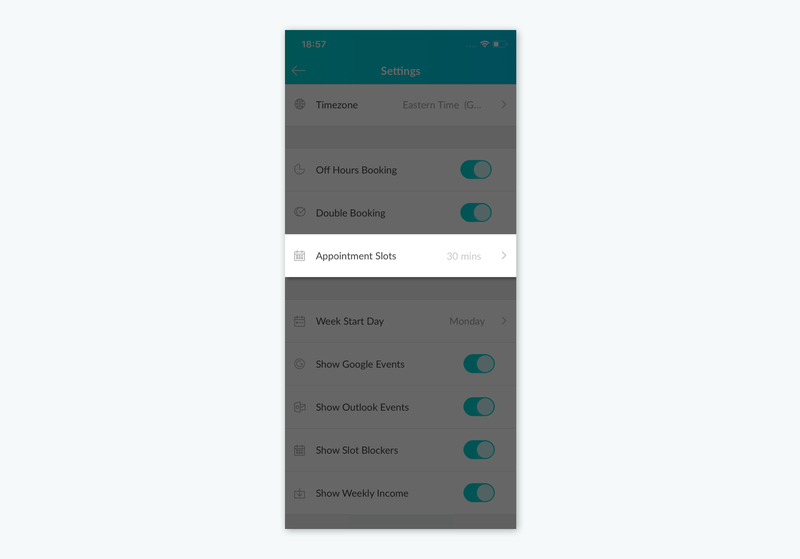 Updating the Custom Time Slot on the web app will not affect the Appointment Slot Size on the mobile app. 1. Tap on Account and choose Settings. 2. Tap on Appointment Slots and pick the desired duration. 3. 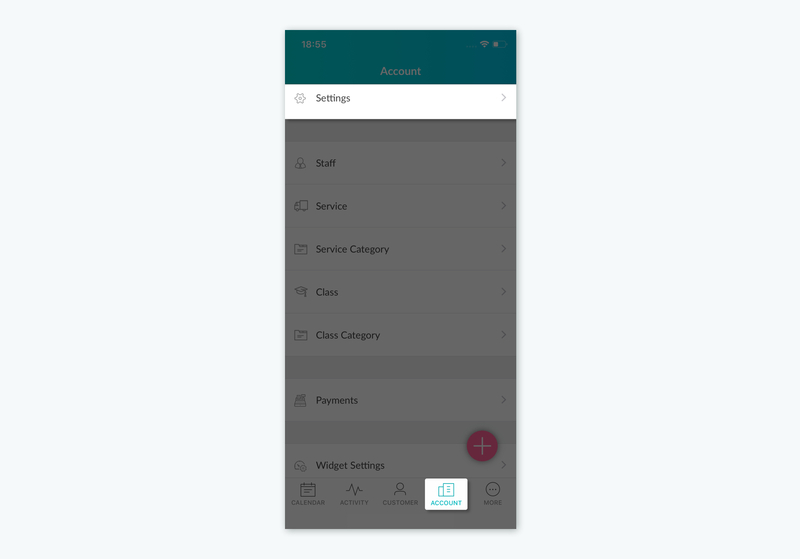 Tap Save to save changes. Both Custom Time Slot and Appointment Slot Size differ from Booking Slot Size, which determines how often available appointment slots appear to your customers on your Booking Page.